If your child was being bullied or harassed at school they’d tell you right? Probably not. Some kids feel too ashamed to talk about what’s happening to them. They may also feel that telling someone could escalate the bullying, or they might be afraid they’d disappoint you by being a “victim”. That’s why it’s important for parents to identify the signs your child is being bullied. Learn to spot the clues, which aren’t always obvious, and know what to do if you see them. Is reluctant or refuses to go to school. Has unexplained bruises or injuries, or wears long sleeves or covers up when it doesn’t seem warranted (to hide bruises and injuries). Comes home hungry or asks for replacement lunch money. Someone may be extorting their food or money, or they may be too stressed out to eat during lunchtime. Comes home late with no real explanation. They may be going the ‘long way’ to avoid bullying, or waiting to leave school until after a bully is gone. Clams up when you try to talk to them about what is happening in school. Particularly if they used to talk about their school days openly. Frequently loses or damages their things. 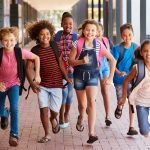 We know, kids can be messy and careless, but backpacks or clothes getting ripped, or items that suddenly go missing can be signs your child is being bullied. Items can get damaged in a scuffle, or bullies may take things from your child. It’s also possible your child is giving away their possessions to try and win favor with popular kids. Shows signs of physical distress, such as headaches, stomach-aches, or nausea. They may also go to the nurse to avoid going to class. Starts using code words for bullying. When you ask about school, your child says there was “drama” or kids are “fooling around”. These can be signs your child is being bullied. Wants or demands to change a long-standing routine, like taking the bus or going to the library. Stops playing with old friends. You notice your child’s social circle suddenly shrinks. Doesn’t want to participate in after-school activities they previously enjoyed. You child may say an activity is cancelled or practice ended early when it isn’t true. Change in mood and demeanor. A child facing bullying may act sullen, anxious, or angry. They may also want to be left alone. School performance suddenly declines. Your child’s grades may drop for no apparent reason. Gets upset after a text, phone call or computer time. Bullying doesn’t only happen at school, it also happens online. You also need to watch screen and phone usage for signs your child is being bullied. 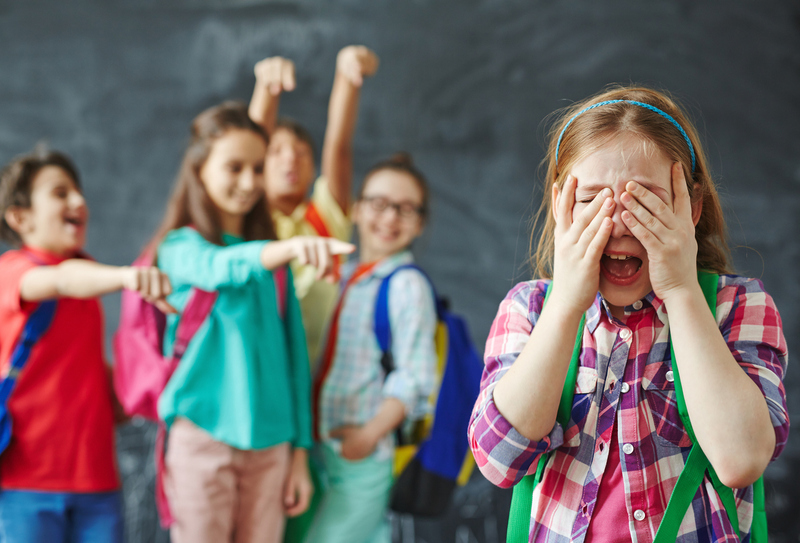 If you begin to notice these or other warning signs your child is being bullied, it’s important to do some sleuthing to get to the bottom of it. Keep in mind, bullying can take many forms. What is bullying? It can be physical bullying (hitting, pushing), verbal (teasing, name calling), emotional (intimidation, threats), and/or cyber-bullying (online harassment). In addition, bullying is not just a boy thing. Girls can also be both victim and aggressor in a bullying situation. Trust your instincts! If your child starts behaving in ways that are out of character, dig a little deeper. When talking with your child, don’t just ask if they’re being bullied. Most kids won’t open up about it right away. The signs your child is being bullied might need to be coaxed out. Here’s a good book on bullying you can read with kids aged 4 to 10 that can get the conversation started. 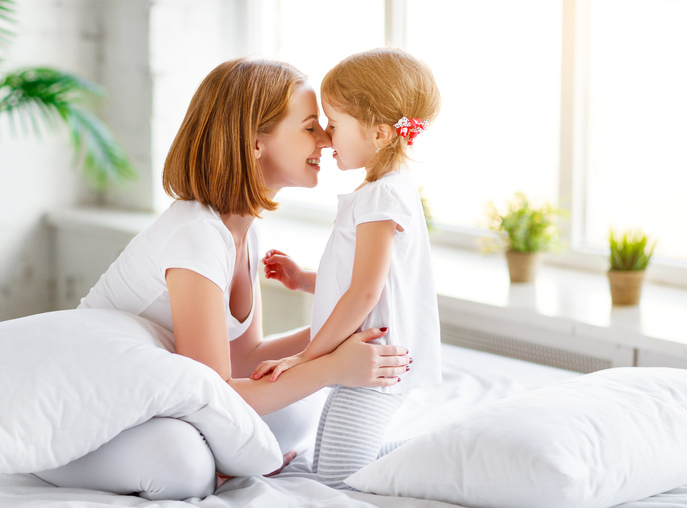 Use subtle questioning to get at the root cause of your child’s behavior change. Also, don’t overreact or make your child feel like they are at fault. This can make them shut down and not want to share. Talk to your child about your concerns, but also verify with monitoring software. The signs your child is being bullied online are harder to see. You may need to invade your kid’s privacy a little to be sure that they are safe. If you’re not sure where to begin, do a little online research. Scan cyber-bullying websites for articles that discuss monitoring tools. In addition, keep the computer in a common area of the house, like a kitchen or family room so you can see you child’s behavior when they are online. If your child is alone in their room and an online bullying situation is happening, it can spiral out of control quickly. You want to be able to see a situation unfolding so you can intervene if necessary. If you see signs your child is being bullied, talk to your child’s teachers at school. Teachers are in a prime position to understand the dynamic of your child’s relationship to other students. They may also have some good ideas for how to prevent bullying. You may also want to spend some time observing your child at school. If your child has been “losing” items, keep an account of what’s missing and ask the school about it. The school may offer a different explanation that indicates your child is covering for someone. 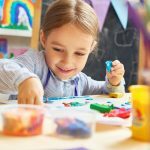 How does my child get along with the other students in class? Do you suspect my child faces bullying? What bullying signs do you watch out for? How and with whom does my child spend their free time? If you’re not satisfied with the conversation, make an appointment with your child’s guidance counselor or principal to discuss concerns. Even if bullying is not the cause, your child’s behavior changes indicate something is going on. You want to get to the bottom of it. Continued anxiety, isolation, and loss of interest in activities can also indicate an untreated learning disability or psychological issue, such as depression. If your child is not being bullied, but still showing signs of distress, consider a visit to a doctor or therapist. Keep going until you find the root cause! Most importantly, keep reassuring your child that you love and support them. This helps kids feel comfortable sharing their feelings. You can’t help with a bullying situation if you don’t know about it. Watch out for signs your child is being bullied, and keep the lines of communication open. What if you suspect your child might be participating in bullying? Do you know the Signs A Child Is Bullying Others? How can I stop bullying behavior when it’s my child that’s the bully? SHARE the warning signs that a child is being bullied on Facebook and Pinterest by clicking the buttons below. What Are The Signs A Child Is Bullying Others?